Uptown Update: A Banner Day! 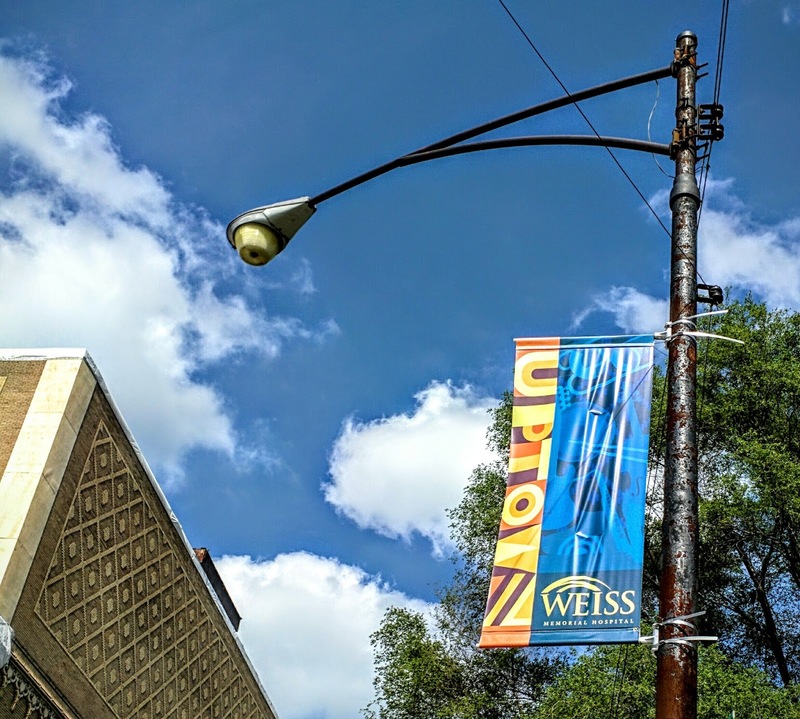 The new Uptown banners designed by artist Judith Mayer are starting to pop up around the neighborhood. 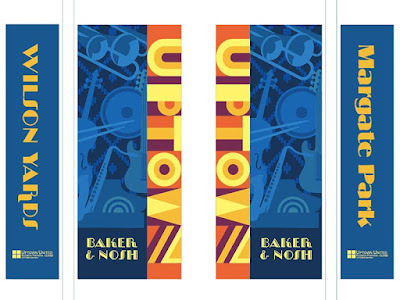 "The Uptown banner design has Deco-inspired, geometric hand-lettering, alongside a composition of musical instruments, and peeking through is a criss-cross brick pattern-an architectural detail found on the Aragon and Uptown Theater buildings. 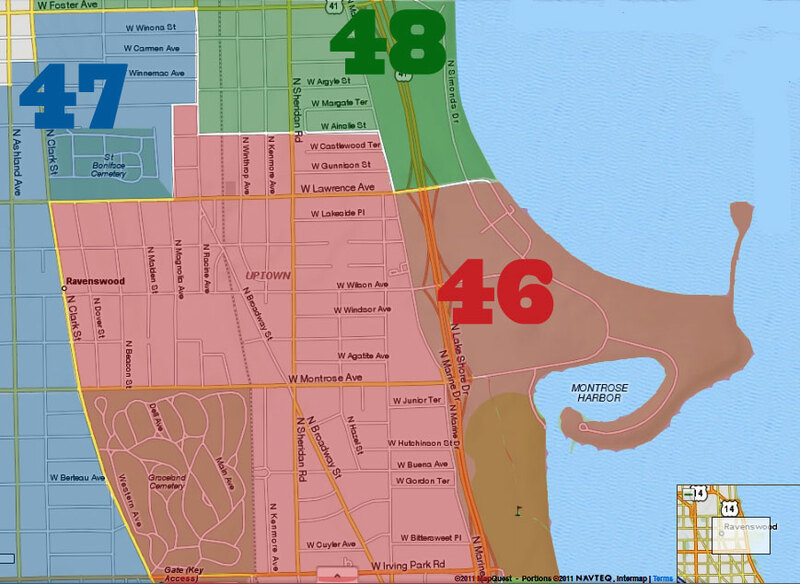 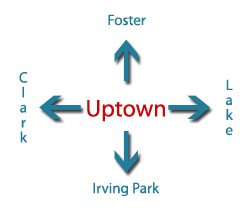 All of the elements reflect the Uptown neighborhood of Chicago, a designated music & entertainment district with strong roots in the prohibition era." 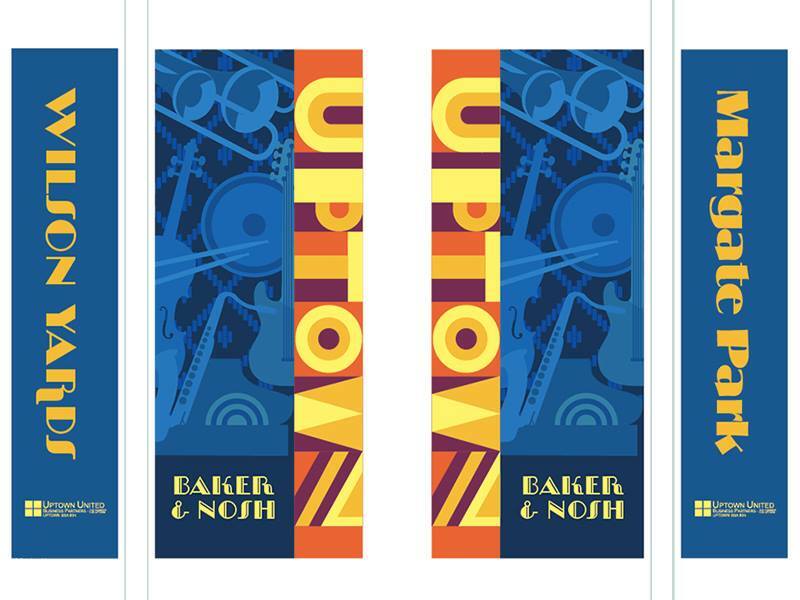 Our thanks to Uptown United and all of the local businesses that are sponsoring these beautifully designed additions to our streetscape!